Clinton is running as a feminist—and that matters for all women. My women college classmates (Radcliffe ’71) aren’t so excited about Hillary Clinton. An e-mail to our New York City potluck group elicited distinctly modified rapture. They’re bothered by her high-priced speeches and the aura of favor-trading and favor-banking around the Clinton Foundation. They don’t like her Wall Street connections, and they don’t like Bill (a k a the “ick” factor). Plus, she’s not progressive enough. “It’s all so old and tired,” wrote one; “she’s been running forever.” “I’m definitely excited about the prospect of a woman,” another chimed in. “I am weary, not excited, about her in particular, and find it sad that she’s our best hope.” I should mention that these women are demographically much like Hillary (Wellesley ’69) herself: prosperous, white, highly educated, sixtysomething feminists and professional women. You would think these women, of all people, would be jumping for joy at the prospect of someone so like themselves winning the White House. But this is where women differ from the other American groups underrepresented in politics. Racial and ethnic minorities can be extremely loyal to their own, but women are hard on other women—and feminists are no exception. Even the idea of electing a Democratic, pro-choice woman president doesn’t necessarily get a rousing cheer. “I’m glad we have a female presidential candidate,” one 22-year-old woman told National Journal, “but it’s incredibly difficult to get excited about something that should have happened decades ago.” Why the world-weariness? Black people were pretty excited about Barack Obama, although electing the nation’s first nonwhite president is another thing that should have happened decades ago. You’d better believe that when the first Jew wins the White House, there will be kvelling from coast to coast, although there have been White House–qualified Jews for a century or more. It’s as if women believe that all those things that should have happened decades ago—passage of the Equal Rights Amendment, the enshrinement of abortion rights with the Roe decision, vigorous enforcement of antidiscrimination law, equal representation in government, federally funded childcare—actually took place and we can all move on. Here are three reasons why I’m excited about Hillary. First, I’m excited about beating the Republicans, and she’s the best candidate for that job. Even Bernie Sanders recognizes that, which is why, after making stirring speeches that will push her to talk more about inequality, poverty, and campaign-finance reform, he will endorse her. Martin O’Malley may have a few high-profile progressive positions, but his claim to be more liberal than Hillary—or, rather, to have come to the same positions as Hillary sooner—is dubious. As mayor of Baltimore, he set in place the brutal and racist policing strategies that brought us the death of Freddie Gray and the arrest of one-sixth of the city’s entire population in 2005. Furthermore, as Ed Kilgore revealed in his Political Animal blog, back in 2007 O’Malley had the same “vital centrist” Democratic Leadership Council politics that he now accuses Clinton of promoting. So there. 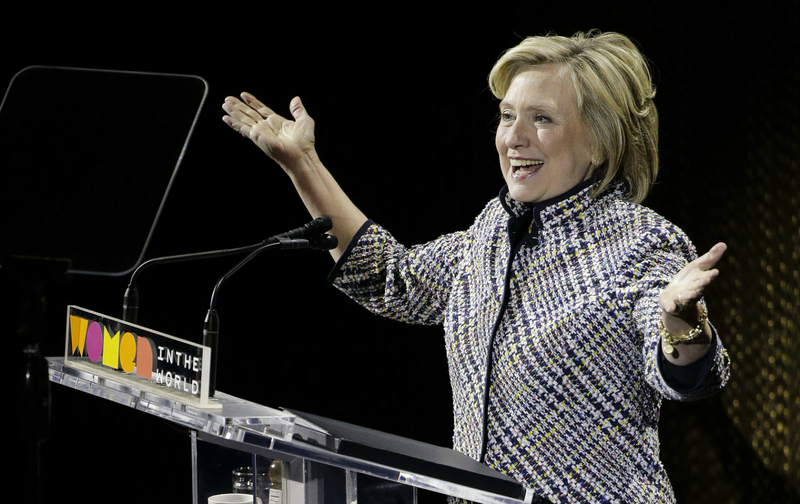 Second, Hillary will be the first woman president—and that is important. At this point in world history, it is embarrassing how backward the United States is. More than 70 women have been chosen to lead their nations, including in gender-conservative countries like Pakistan, Ireland, and the Philippines—and 22 nations have female leaders right now. What is the matter with us? Indeed, we score poorly on every measure of women in politics: not quite 20 percent in Congress (which places us 72nd internationally, between Kenya and Panama); 24 percent in state legislatures; only 17 mayors in the top 100 most populous cities; and only six governors out of 50. A woman president—not a Sarah Palin or Margaret Thatcher, but a liberal Democrat keen on promoting women in politics—would shake up the old-boy networks, energize the women’s vote, and draw more women to the party. To those who say a woman president is only symbolic, I say symbols matter—and who’s to say it will stop there? It’s hard to imagine having the #BlackLivesMatter conversation without Obama in the White House. Maybe Hillary will change the discourse in a similar way. Third, Hillary is a feminist and is running as one—as she made clear in an April speech: “It is hard to believe that in 2015, so many women still pay a price for being mothers. It is also hard to believe that so many women are also paid less than men for the same work, with even wider gaps for women of color. And if you don’t believe what I say, look to the World Economic Forum, hardly a hotbed of feminist thought. Their rankings show that the United States is 65th out of 142 nations and other territories on equal pay.” She might not have the language of intersectionality down pat, but on a range of issues that matter to women—reproductive rights, healthcare, childcare, pay equity—she will move the ball forward. She will nominate liberal women and people of color to important posts. On the crucial issue of the Supreme Court, where Scalia and Kennedy are close to 80 and Ginsburg is 82, the next president will make choices that shape the nation in fundamental ways for the next 20 or 30 years. Who do you want making those nominations: Hillary, or the Republican who beats Bernie Sanders? Look me in the eye and tell me that you don’t care because what’s really important is Mark Penn, or those State Department e-mails, or that failed Clinton healthcare plan from 22 years ago. “Why does one have to be ‘excited’ about a person running for president?” one classmate wrote. “Can’t we just be determined?” Point taken, but excitement matters in a campaign. It means donations, volunteers, spreading the word, firing up your friends, and actually making the effort to register and get to the polls. Still, if you can’t muster any excitement, determination is a good back-up plan. So go out there, feminists, and be determined.